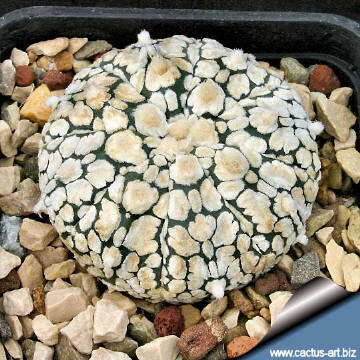 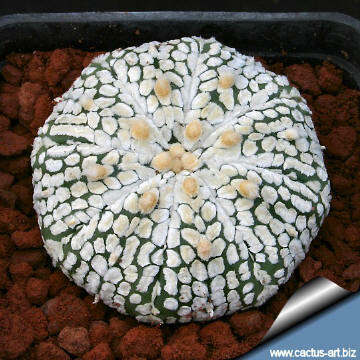 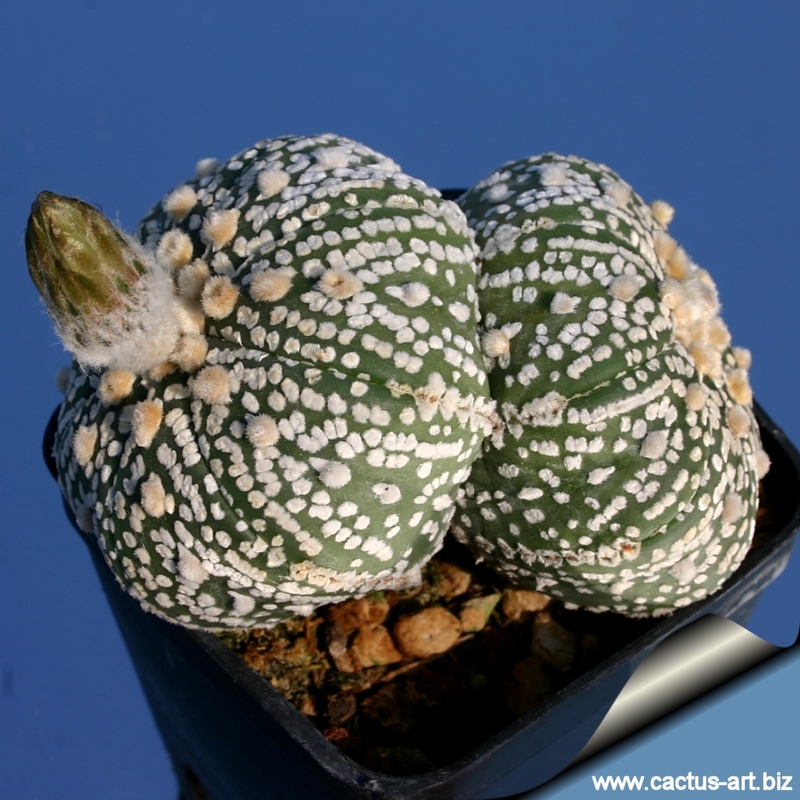 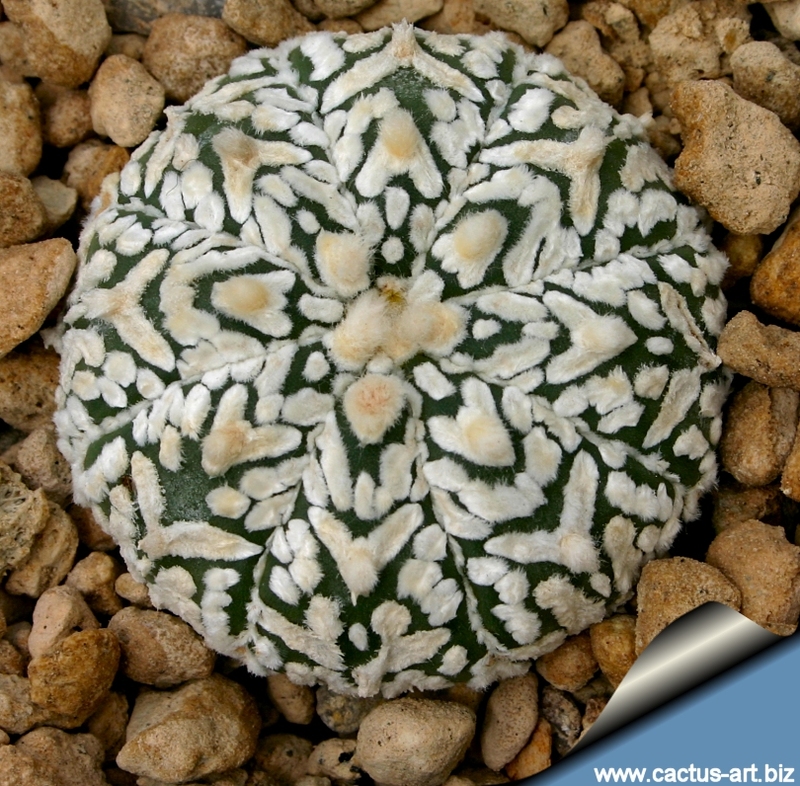 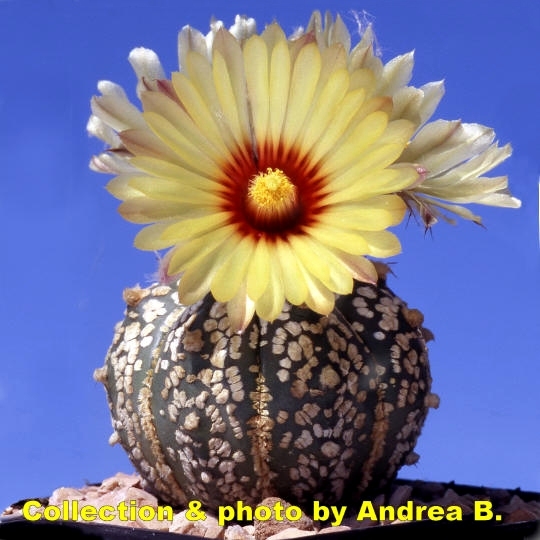 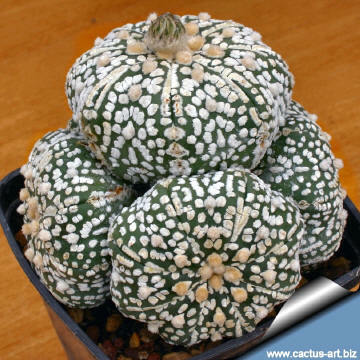 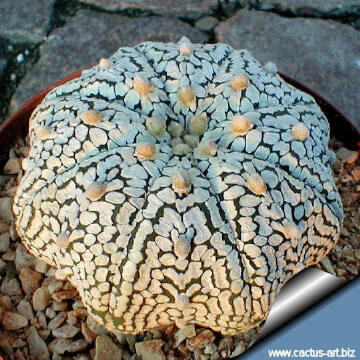 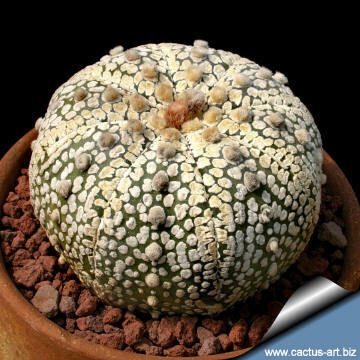 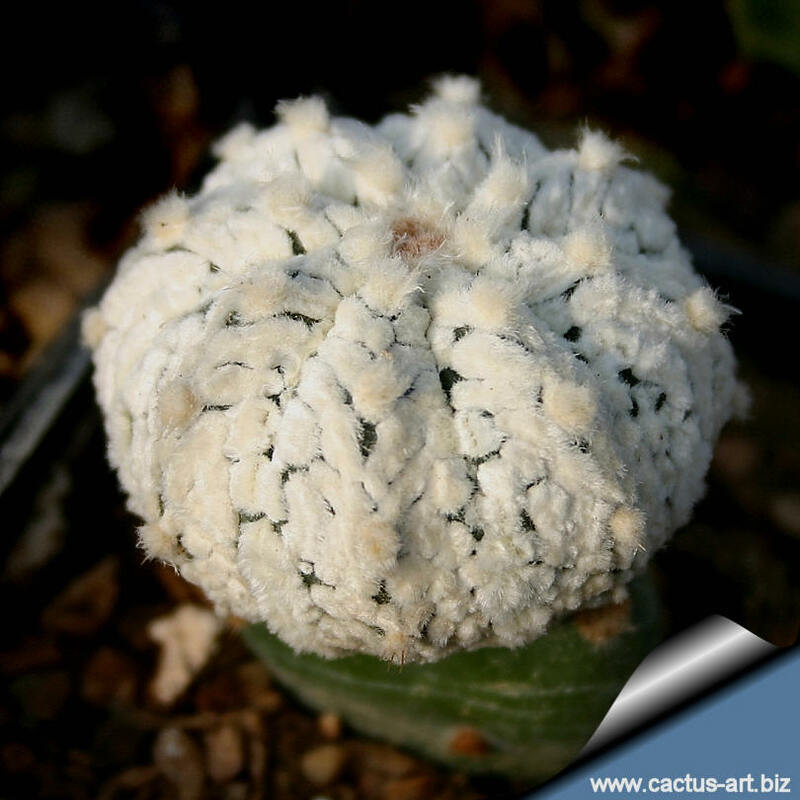 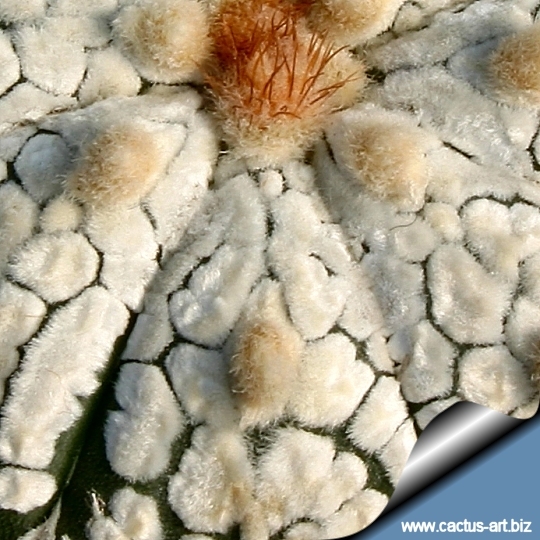 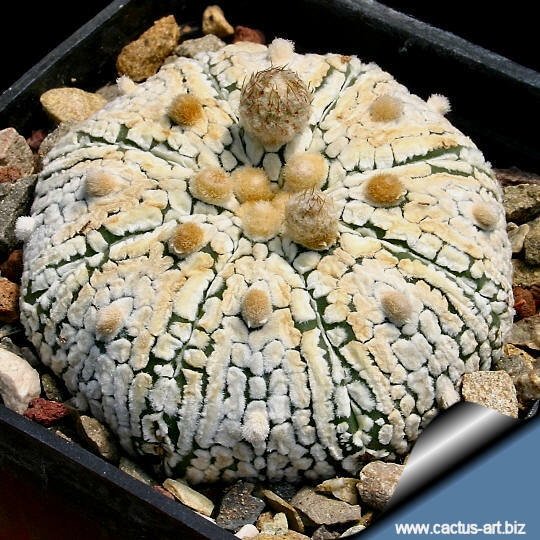 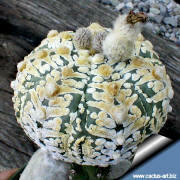 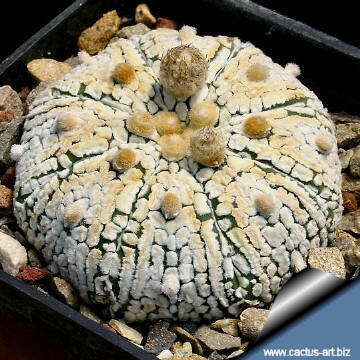 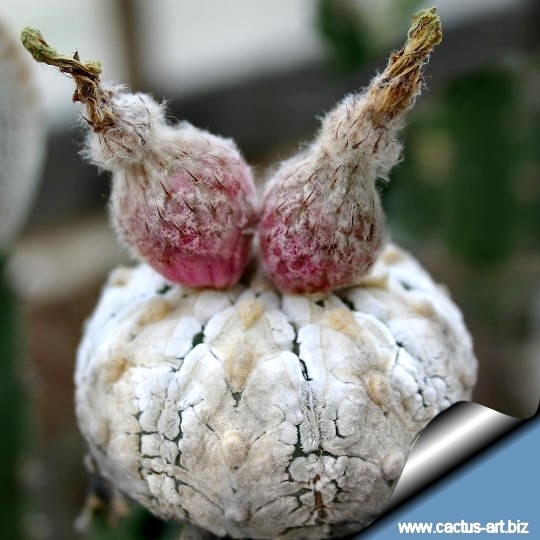 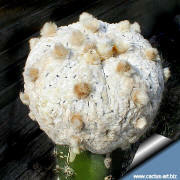 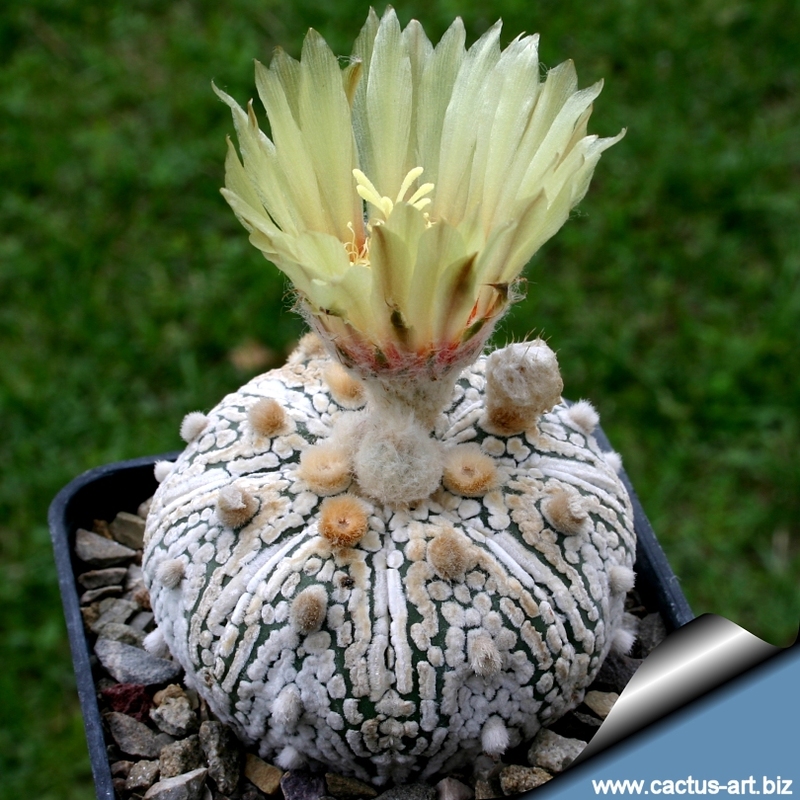 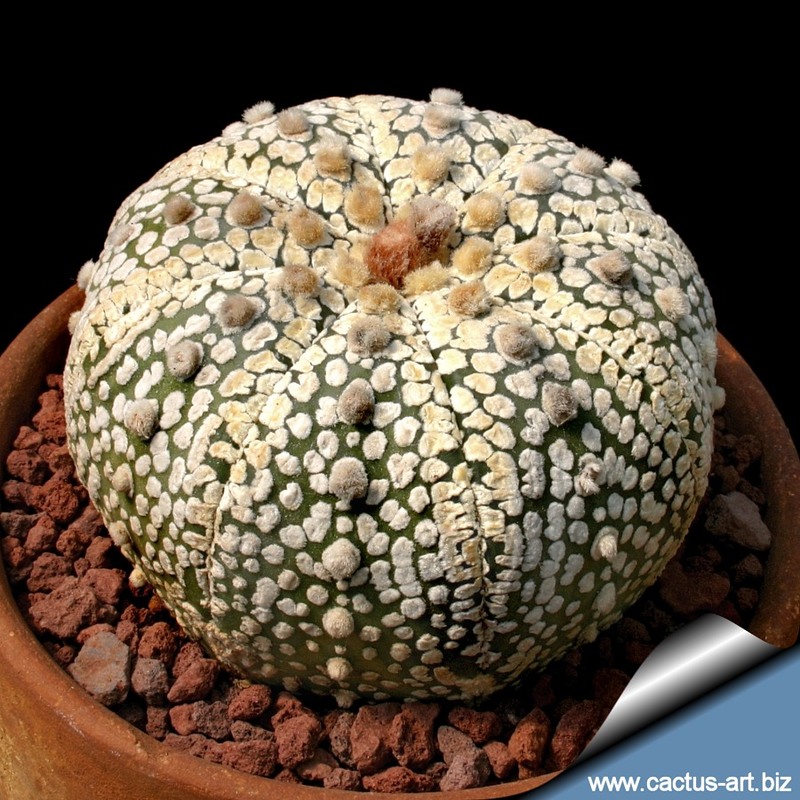 Astrophytum asterias 'Super Kabuto' with its inimitable fuzzy epidermis is actually the most popular cactus cultivar. 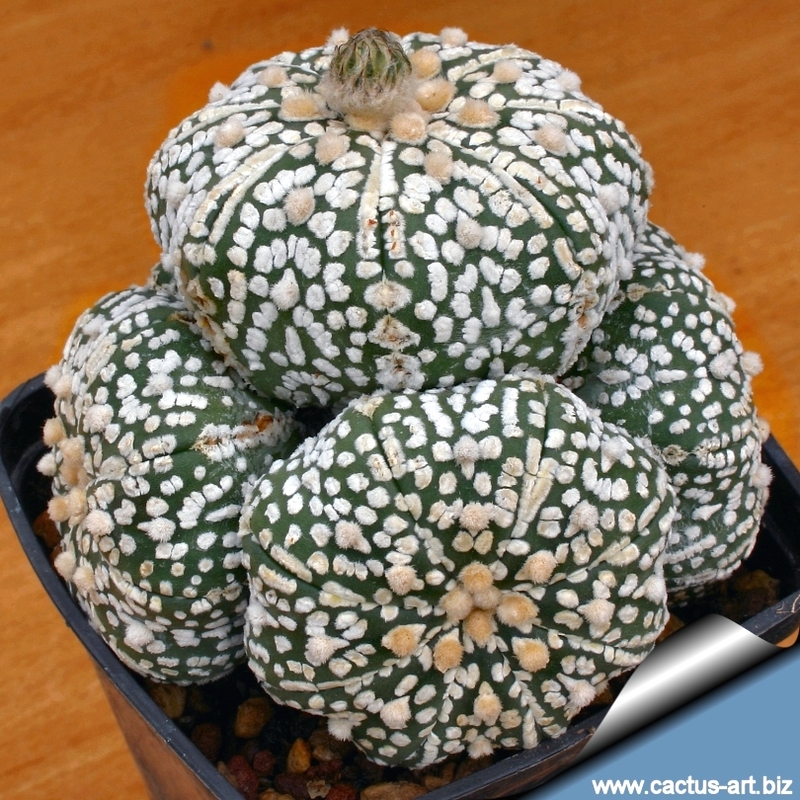 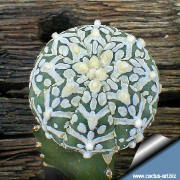 Many different beautiful forms of 'Super Kabuto' , which differ for the diverse pattern of the spots are now available. It would be difficult to mention them all: they range from completely white forms ('white-type'), to forms with woolly spots ('snow-type'), to forms with a maculation like the shape of fly's wings ('zebra-type' or 'V type').